Over Christmas we got some nuts in our stockings. But we couldn't find a nutcracker, so my nephew and I devised some silly ways to try and crack the nuts. 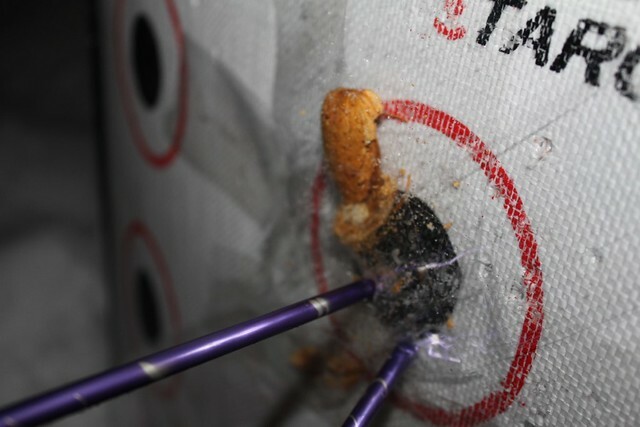 I stupidly said "it would be cool if we put the nut on your target and you shot an arrow at it". A few days later, Daniel decided to give it a try. 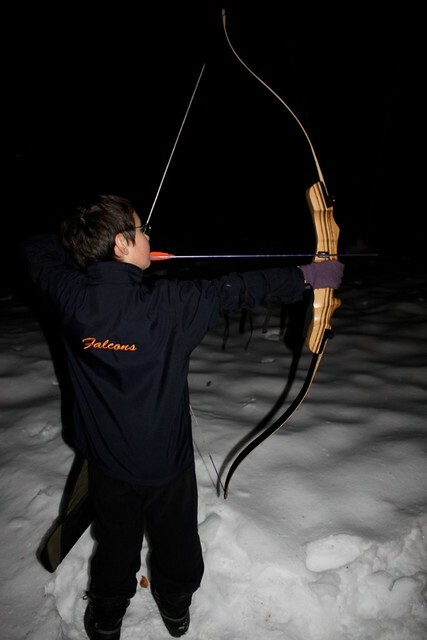 In the snow and freezing temperatures (well it was balmy zero degrees in the north of British Columbia) he got his bow out. That's when I realized his bow was no ordinary bow, it's Firefox. Tremble puny almond before the might of Firefox. No crazy William Tell tricks here, I stood well clear. 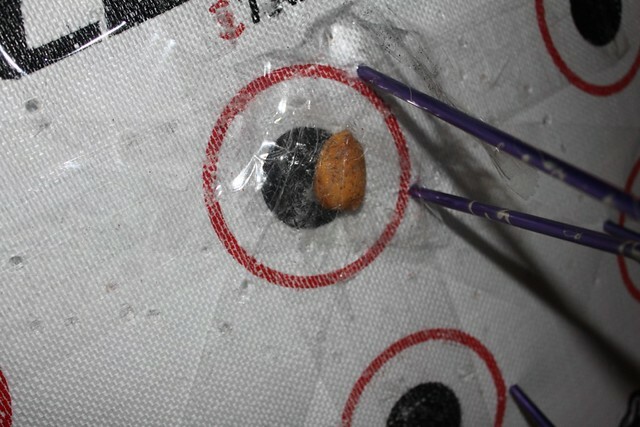 As it turns out hitting an almond with an arrow is no easy feat. A bigger nut is a possibility, but didn't want to break the arrows. But Daniel didn't give up and eventually got it. That's a nut that took a lot of work to crack, which is probably why someone invented nutcrackers.